For breaded mushrooms, clean the mushrooms and roll them in a mix of onion granules, corn flour, water and salt. Coat with Golden Linseed Breadcrumbs and finally fry or bake. 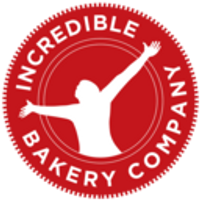 Craft product made in the Incredible Bakery in Warkton, Northamptonshire that has no contact with any of the 14 common food allergens defined by EC Regulations. Ingredients: Gram flour, white and brown rice flour, potato starch, tapioca starch, golden linseed (14%), cold pressed rapeseed oil, stabiliser: xanthan gum, raising agent: yeast, psyllium husk, unrefined sugar and sea salt.